Living in Nottingham we’re not that far away from Derbyshire and the Peak District. Now that the twins are that bit older, we’ve started to visit more regularly. In fact, we recently spent half term in a cottage in Hope Valley and had a great time. 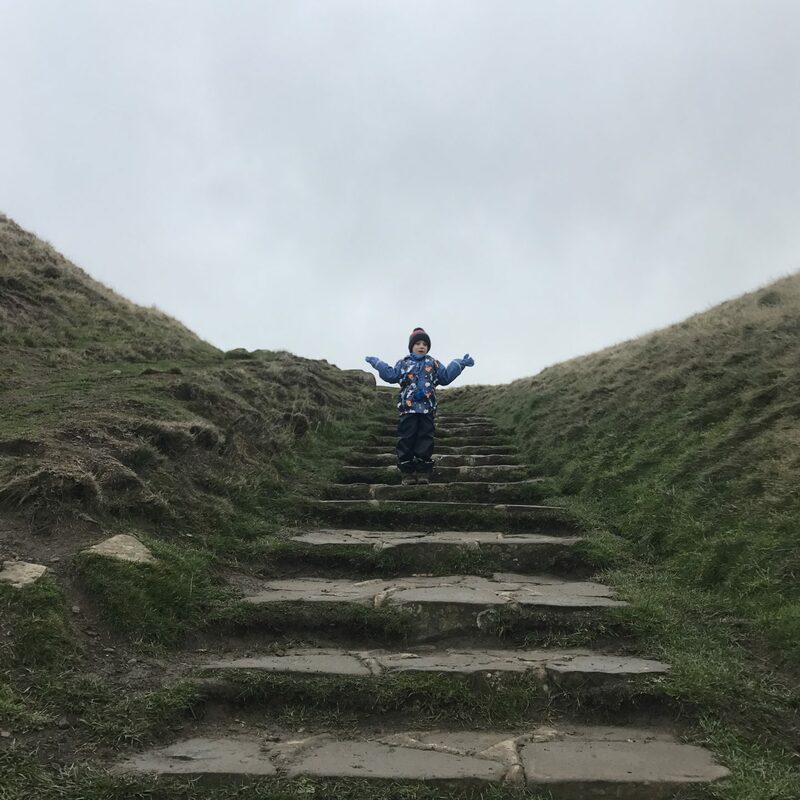 I thought I’d share some of our suggestions of things to do in the Peak District with kids. 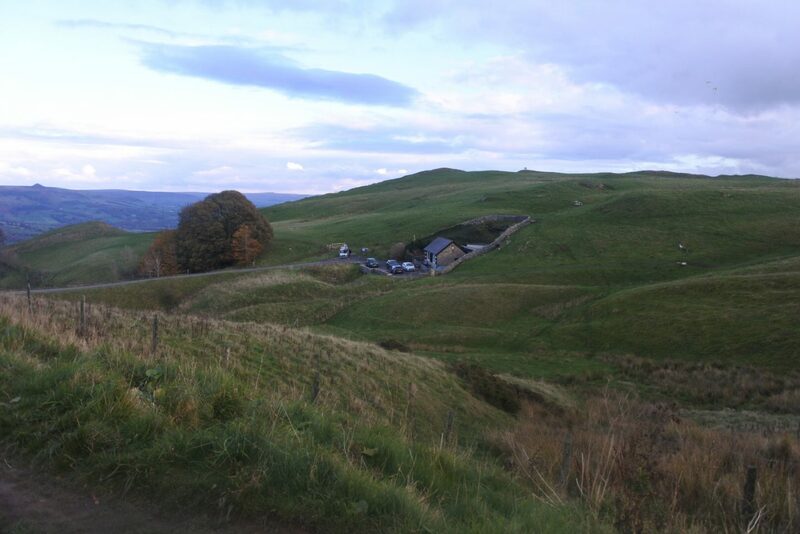 There are lots of walking routes for Mam Tor. However, we decided to follow the National Trust’s Circular route, which was perfect for kids. We’ve written a full post all about our walk, which you can read here. I love Chatsworth House, particularly the afternoon tea! As well as the House itself, there is also a farm park, which always helps to entertain our kids. The only negative thing I have to say about Chatsworth is the price, a family ticket (2 adults & 3 children) is £65. Although they do get brownie points for including 3 children in the family ticket. The village of Eyam is known as the plague village and even has it’s own museum, which explains how the plague affected this small village. I find this sort of thing fascinating and the kids loved it too. You can wander round the village and see the houses that were affected by the plague. 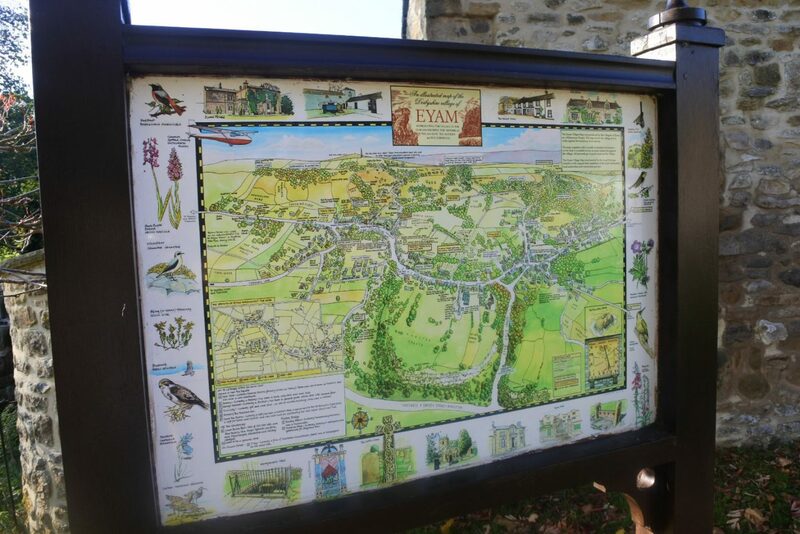 Eyam Hall, has some quirky little stores and a great coffee shop, so I’d highly recommend a visit to them too. 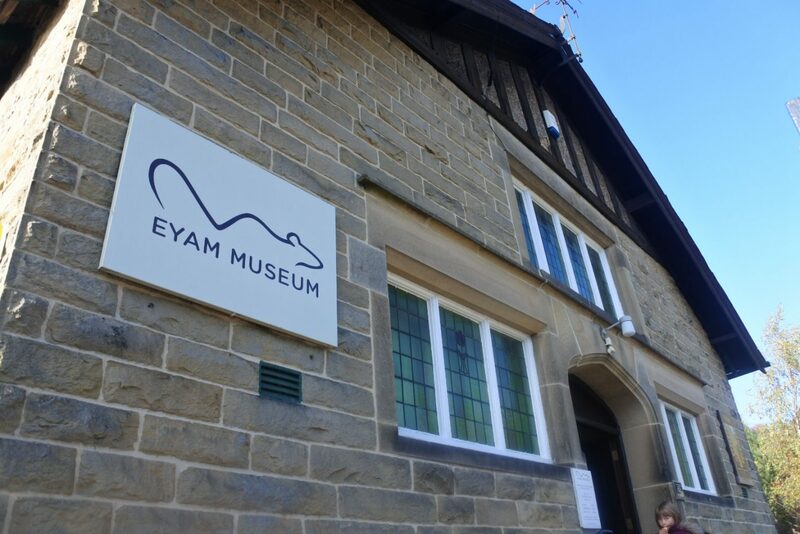 A family ticket to the Eyam Museum is £7.50 and is for 2 adults and 2 children. I absolutely love Bakewell. I love Bakewell Tart (who doesn’t?! ), I love the cute little shops and I also love walking the Monsal Trail and taking a little pit stop at the Hassop Station café, which is mid-point on the route we tend to walk. The food there is lovely and they also have a great outdoor play area for kids. You can hire bikes from here too, if you’d rather bike than walk. I think Bakewell is probably one of my favourite towns in the Peaks. Another great walk with the kids. It’s the perfect length that the kids don’t moan too much, but the adults still feel like they’ve had a good walk. The views are pretty amazing too. 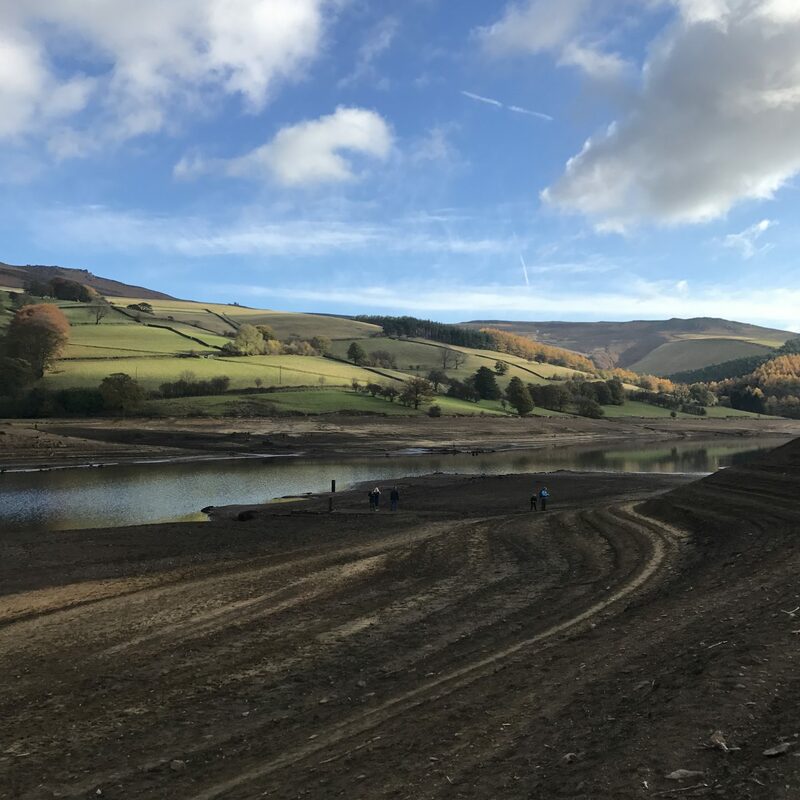 When we visited in October, the Reservoir was so low that you could see the ruins from the old Derwent village. We’ve never visited Matlock Farm Park, although it’s somewhere we’d like to go. There’s the usual cows, pigs etc, as well as petting animals, which my three love. They provide regular animal feeding sessions. They also provide an indoor and outdoor playarea, so the children can blow of some steam. One thing that is unique is that they also offer horse riding sessions, which I’d love to do with the kids, particular when the twins are a bit older. Family tickets for a family of four are £30 or £35 for a family of five. The stepping stones at Dovedale are great fun and there’s lots of different walks that you can do, including walking up Thorpe Cloud. The only negative, is that it gets very busy, so it doesn’t feel as secluded and remote as some of the other places in the Peaks. The land is owned by the National Trust, so there’s plenty of car parking, toilet, a place to get a drink or snack and the Dovedale Barn, which provides walking guides and souvenirs. In the Castleton area there are various caverns that you can visit. When we were in the area we chose to visit the Blue John Cavern. I suffer a little with claustrophobia and I was worried I might freak out a bit visiting the other ones. We all really enjoyed visiting Blue John Cavern and although it was quite pricy, it was definitely worth it. You can read more about our visit here. A family ticket (2 adults & 2 children) is £32.00. Located on the edge on the edge of the Peak District, the Crich Tramway Village is somewhere we’ve not visited before, but I’d love to go. You can ride various trams, explore the Woodland Walk and also visit the recreated period village scene. I think we’d all have a great day, so I’m keen to visit soon. A family ticket (2 adults & 3 children) is £40.50 and this includes free return admission for 12 months. There’s so much to do at The Heights of Abraham, as well as they cable cars, there are caverns to explore, an adventure playground, Tinkers Shaft – a viewing platform with great views, Prospect Tower and some lovely little walks that allow you to explore the estate. A great family day out. A family ticket is £50 (2 adults & 2 children). What’s your favourite place to visit in the Peak District with kids? Such a beautiful part of the world with so many lovely walks by the looks of it. I’ve never actually been to the Peak District but we’re going to a wedding near Dovedale in the Summer and are spending the weekend so I’m really looking forward to checking out the area.